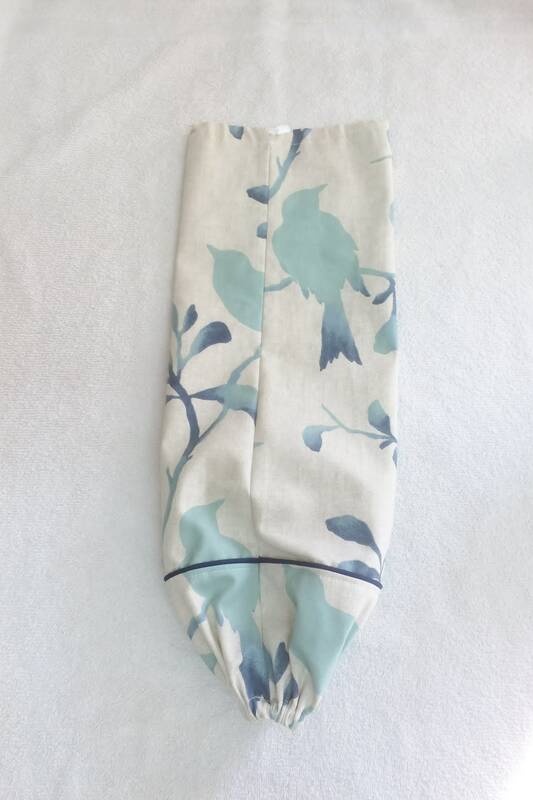 You will fall in love with the blue bird on this grocery bag holder. Each designed to hold 35+ standard grocery bags. 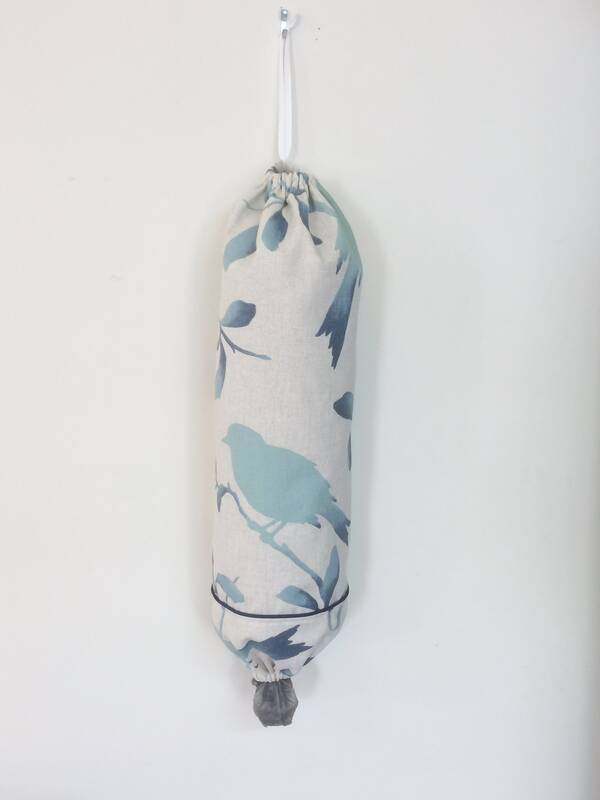 Each plastic bag holder is made with a cotton fabric featuring a piping accent and ribbon drawstring for hanging. The bottom features an elastic opening, making it easy to retrieve your bags. 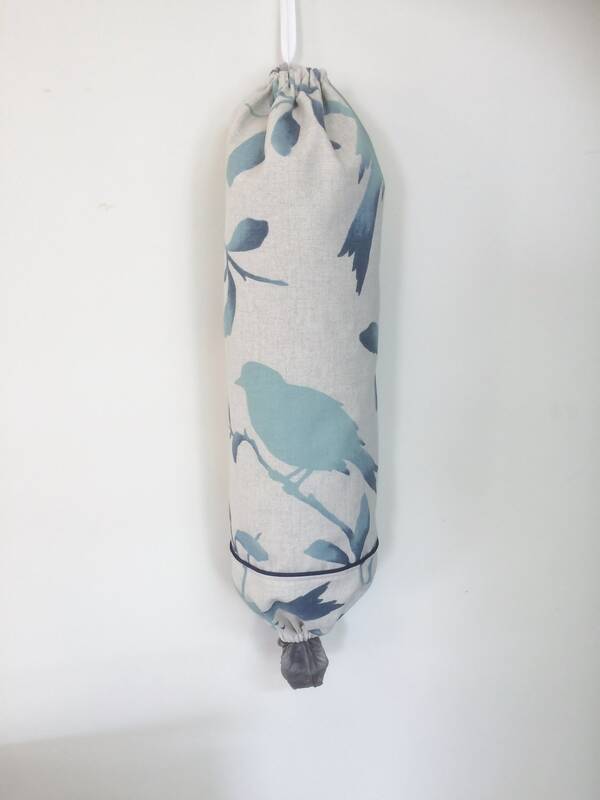 These are perfect to help with your recycling needs, making them great eco friendly gifts. Measuring approximately 22" inches long and 17"inches around the outside. 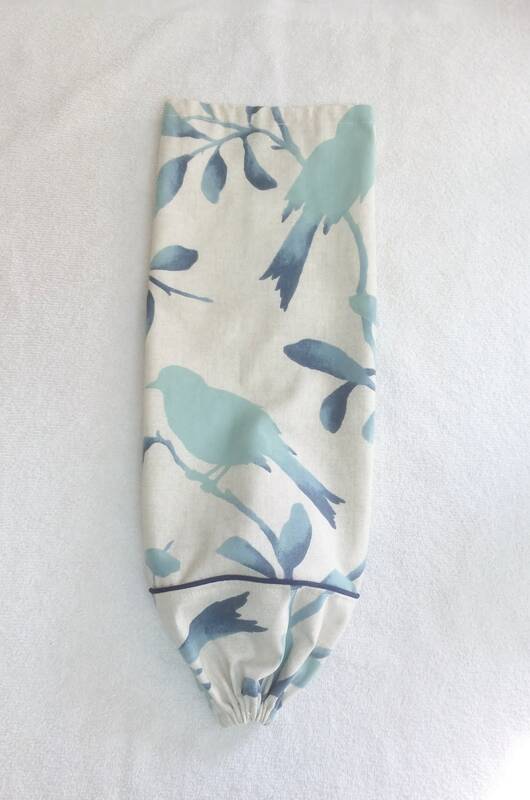 ~ Measures approximately 22" long by 17" around the bag. Placing your order is easy. Simply choose how many you would like from our drop down menu. Once your order is received, it will be shipped the next business day. You will receive tracking information, allowing you to track your order right to your home. Plastic bag holders are an eco friendly product. Designed to help you with your recycling efforts for a sustainable future. Help others with their recycling efforts, these are a wonderful gift for a new home owner.